The NFL has transformed into a pass-happy league. In addition to many big-time quarterbacks, there have been many great wide receivers that have entertained football fans around the world. The league’s transformation has created an even bigger emphasis than ever before on obtaining the best possible passing-game weapons, in an effort to materialize their passing agenda. Enter the wide receivers. These guys face tough tasks every game. They are called upon to make catches in game-breaking situations, while also putting their bodies at risk, in the face of incoming defenders running at them at full speed. What truly separates the good receivers from the greatest, is their ability to be great for a long period of time. On top of that, the best of the best seem to find ways to make the biggest plays when they matter most. 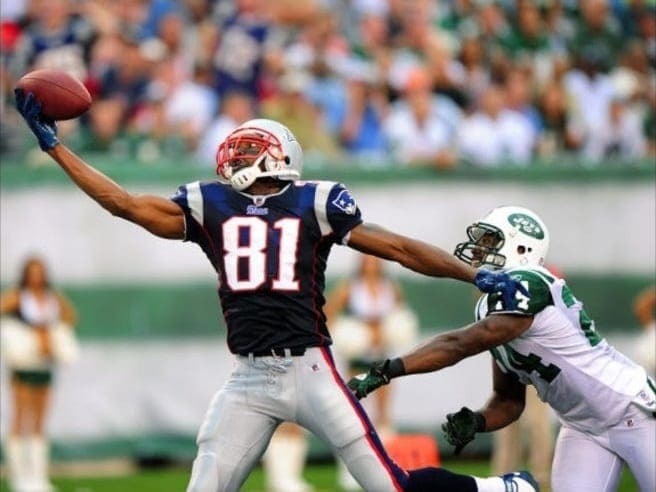 Let’s take a look at the greatest wide receivers the NFL has ever seen. Not many wide receivers get the honor of being named Super Bowl MVP, but that is exactly what Ward was able to accomplish in SB XL. Despite his small size at 6’0 and 210 lbs, Ward’s play on the field was extremely physical. His ability to take big hits while holding on to the ball was highly impressive. Ward won two championships during his career with the Steelers, and by the time he retired, he was able to put up 1,000 receptions for 12,083 yards and 85 touchdowns. His contribution as a leader on Pittsburgh’s offense for more than a decade is something that can’t be quantified in numbers. Largent etched his name in NFL history, becoming the first player to ever reach the coveted 100 touchdown plateau in his career. To this day, he remains tied with Tim Brown for ninth place on the all-time touchdown list. 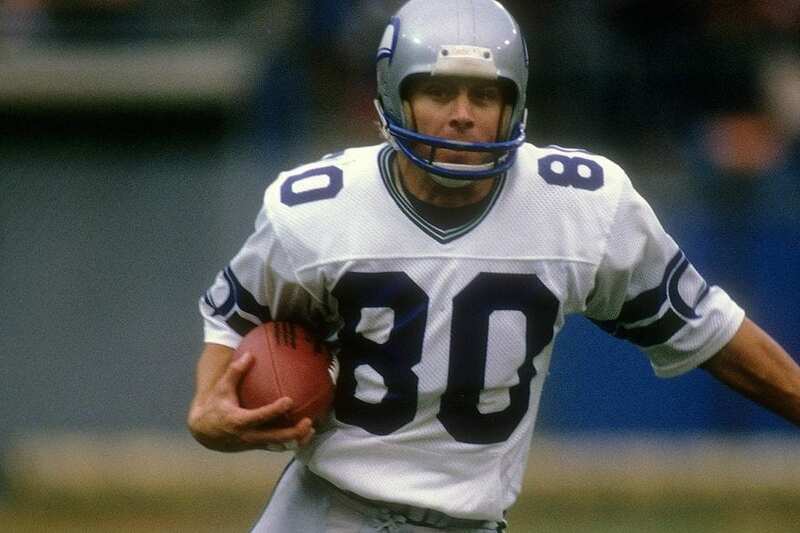 Largent went overlooked in the 1976 Draft until he was selected in the fourth round by the Houston Oiler, who traded him to the Seahawks prior to the start of his rookie season. Largent would play his entire 14-year career in Seattle, and by the time he retired, he was the owner of many major receiving records. Playing in an era that was much less pass-friendly by today’s NFL standards, Lofton was able to achieve eye-popping numbers. He eventually became the first player in the history of the league to reach the 14,000 receiving yards mark. 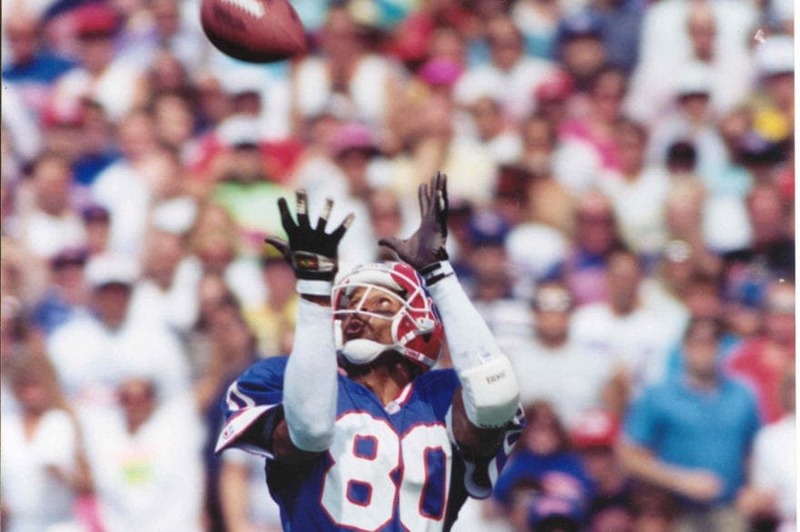 Setting the bar for future great wide receivers to match, Lofton was selected to eight Pro Bowls during his career. He was also inducted into the Hall of Fame as part of the Class of 2003. Inducted into the Hall of Fame in 2001, Swann was known as a main cog in the Steelers dynasty of the 1970’s. He was able to win four Super Bowls with Pittsburgh. 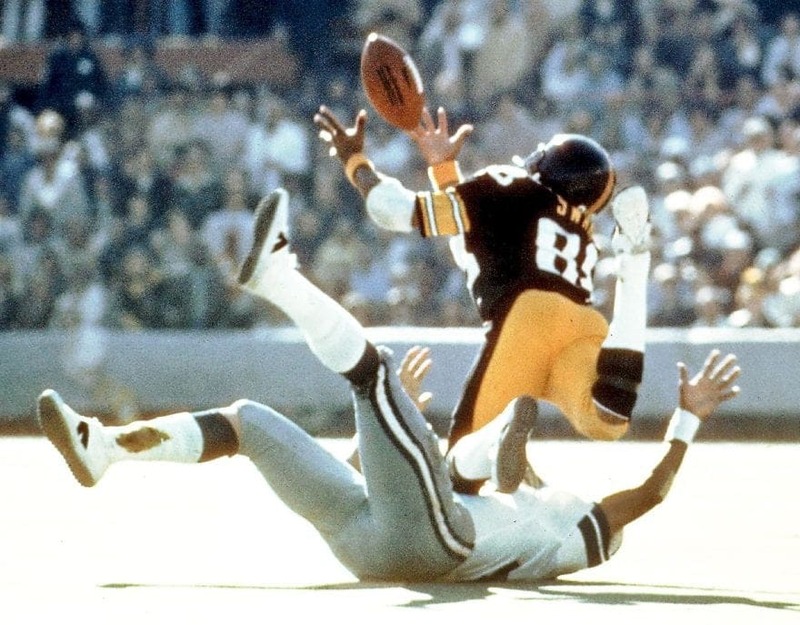 His huge performance in Super Bowl X gave him the privilege of being the first ever wide receiver to receive Super Bowl MVP honors. During the game, he caught four passes for 161 yards and a touchdown, which was a SB record at the time. Prior to his NFL stardom, Smith infamously worked at a local Taco Bell while in high school and junior college. 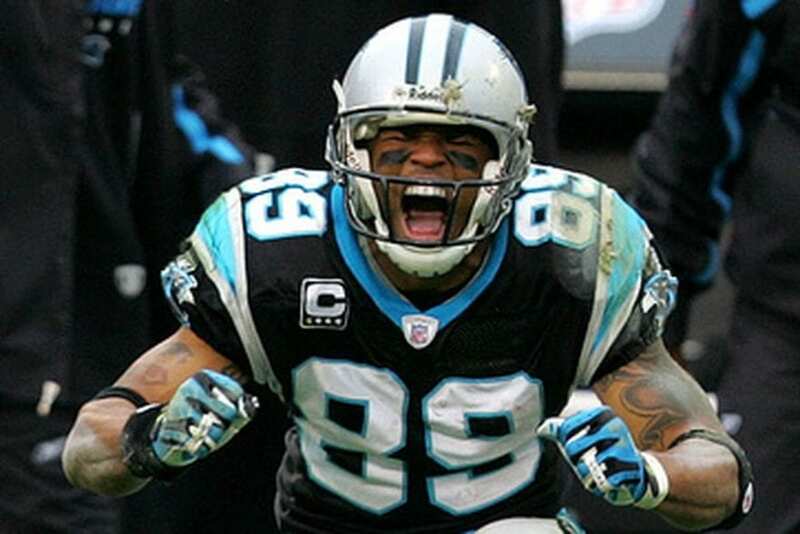 But that all changed when he was drafted by the Carolina Panthers in the third round of the 2001 Draft. Smith’s appreciation for his opportunity translated to his strong efforts on the field. He currently ranks in eight place all-time with 14,731 receiving yards, as well as 12th with 1,031 career receptions. His hard work and ability to overcome adversity certainly paid dividends. In just eight seasons so far in his career, Brown has been able to achieve a whole lot. At just 29 years old, he already has 733 catches for 9,910 receiving yards. Depending on how long he is able to keep up his absurd pace, he has a chance at approaching many of the all-time records that have long seemed impossible to reach. For now, Brown will need to just keep working hard at doing what he does best – catching footballs. His best season from a statistical standpoint was in 2015, when he hauled in 136 catches for 1,834 yards. Combined with the previous two seasons, he set the NFL record for most receptions in a three-year span, with a total of 375 catches. 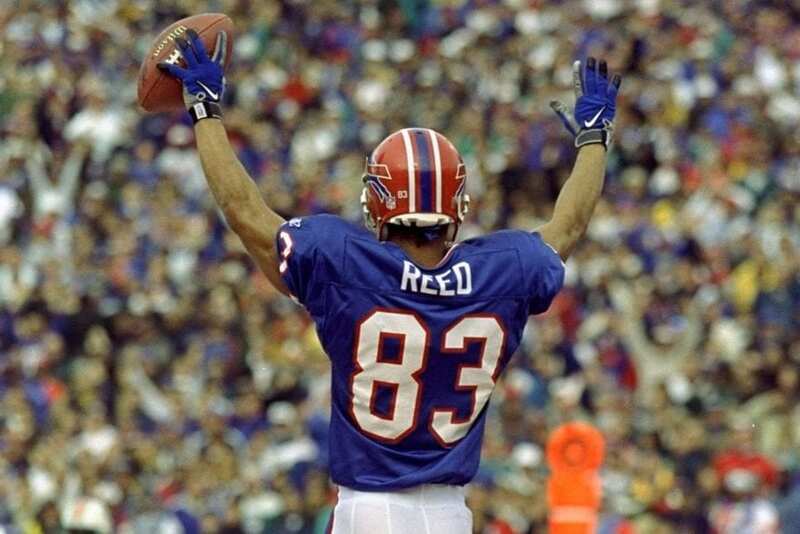 Reed was the face of the Buffalo Bills during the 1990’s. For 15 seasons, he was the offensive catalyst that kept their offense going. When he retired in 2000, his 951 career receptions were good enough to rank second on the all-time list. However, the NFL has clearly become a pass-happy league, and many receivers have since catapulted past him in the rankings. Regardless, Reed was one of the most prolific receivers of his era. He amassed 13,198 receiving yards and 87 touchdowns during his career. He was consistently recognized for his efforts, making seven Pro Bowl appearances. In 2014, he received the ultimate recognition, when he was inducted into the Hall of Fame. Johnson came on really strong in 2004, his second year in the league, when the young receiver went off for 1,142 yards and six touchdowns. But the best was yet to come for Johnson, who would go on to lead the NFL in receiving yards in consecutive seasons in 2008 and 2009, putting up 1,575 and 1,569 yards, respectively. Ultimately, Johnson tallied a combined 14,185 career receiving yards, which currently places him in eleventh place on the all-time list. 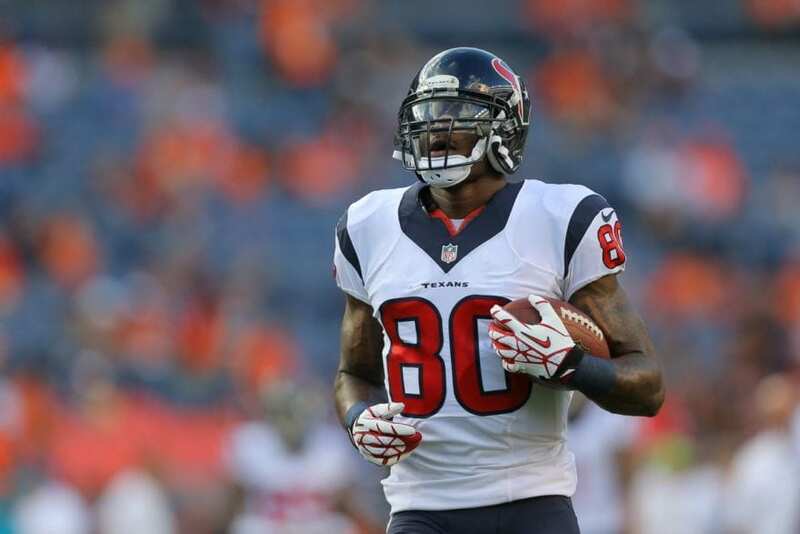 Johnson is also a seven-time Pro Bowl selection. When you win the NFL Most Valuable Player Award three times as a receiver, you deserve a spot on this list. Hutson accomplished the feat in consecutive seasons in 1941 and 1942. His dominance was undeniable, leading the league in receiving yards seven times over the course of his illustrious career, and was the league leader in receiving touchdowns nine times. 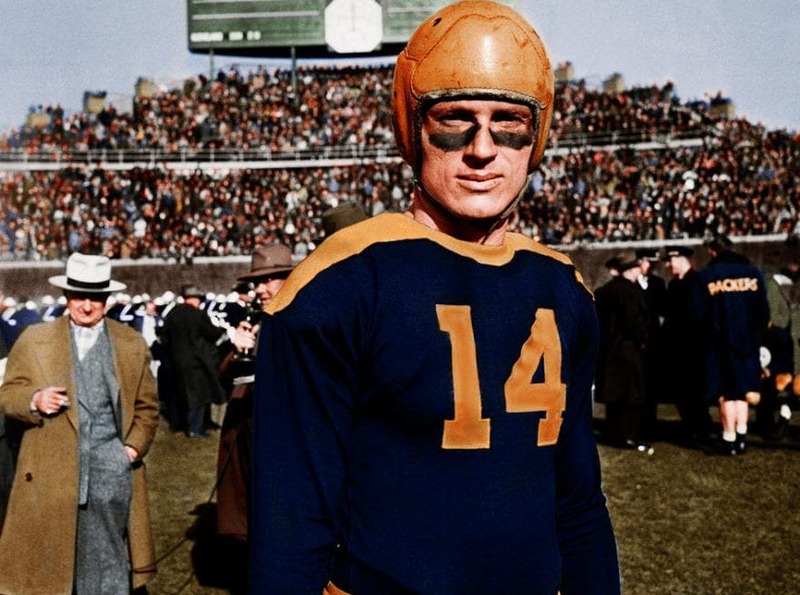 Hutson was a main factor in three championships that he and the Green Bay Packers claimed in the 1930’s and 1940’s. He was also a force on the defensive side of the ball, where he played the position of safety, and was able to record 30 interceptions during his career. As the top wide receiver of the infamous “Greatest Show on Turf,” Bruce was a force to be reckoned with. He helped Kurt Warner and the Rams win Super Bowl XXXIV with a strong performance under the brightest lights the game has to offer. During the championship game, Bruce had a monster performance, with six catches, 162 yards, and a touchdown. When he finally hung up his cleats, Bruce was among the leaders in various major categories. His 15,208 yards are still good enough for fifth place in NFL history. Like his teammate Marvin Harrison, Wayne benefited from having one of the greatest quarterbacks in history (Peyton Manning) throwing passes his way. But Wayne should receive a lot of credit for his acrobatic catches and ability to make great catches in traffic and along the sidelines. 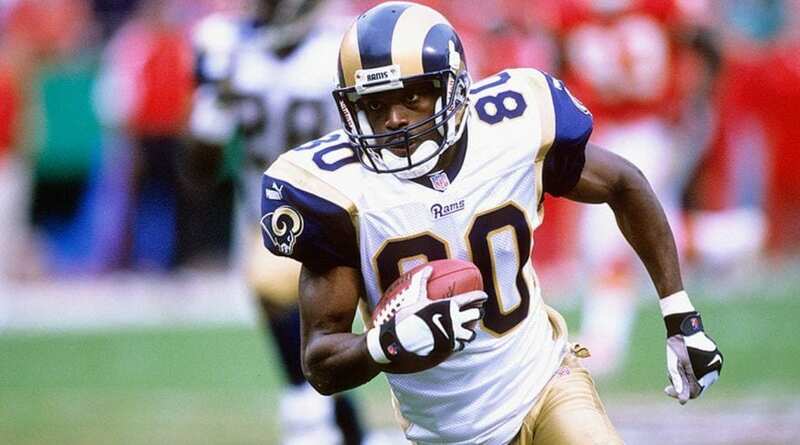 He was able to do a lot of damage with his chances, as he currently sits in tenth place all-time in receptions, with 1,070, as well as receiving yards (14,345). 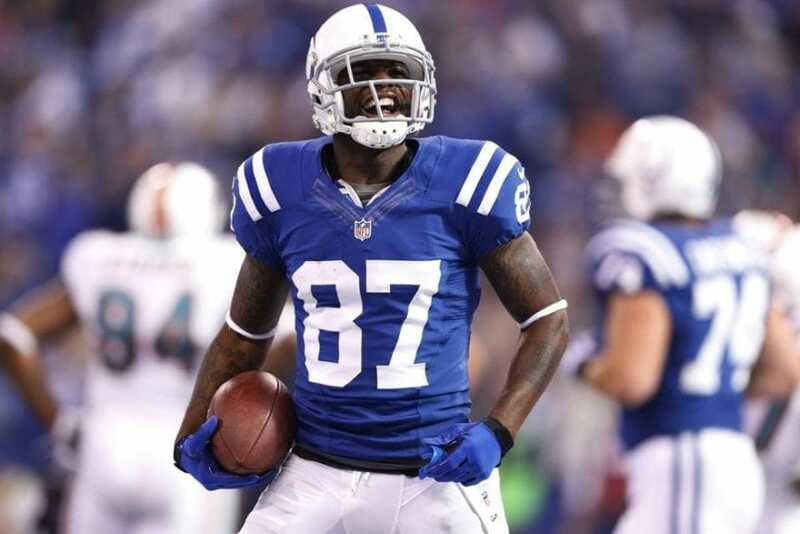 Wayne accumulated six Pro Bowl selections over his 14 seasons with the Colts. After helping the team win Super Bowl XLI, he led the NFL in receiving yards during the 2007 season. 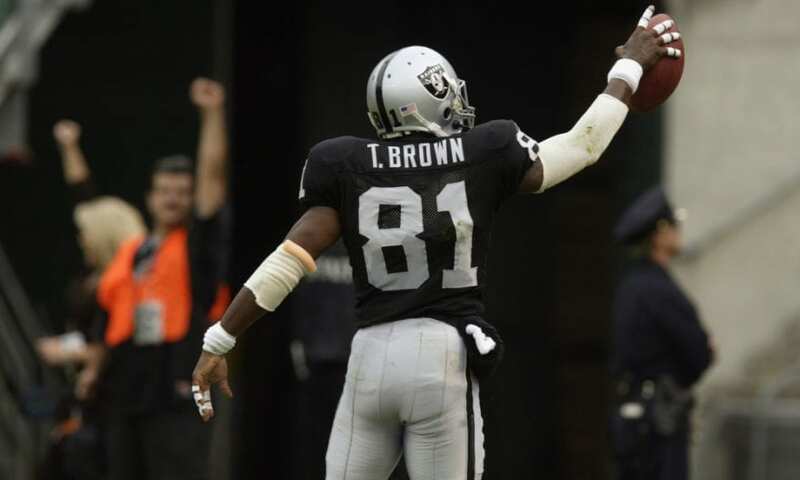 One of the most productive wide receivers in NFL history, Brown currently holds his place in the top ten of every major receiving category for his career. His 14,934 receiving yards are good enough for seventh place on the all-time list, while his 100 career touchdowns rank ninth all-time. Brown was selected to nine Pro Bowls over the course of his time in the NFL. In 2015, he received the highest recognition, by being enshrined in Canton, at the Pro Football Hall of Fame. Johnson was truly unstoppable during his career with the Detroit Lions. 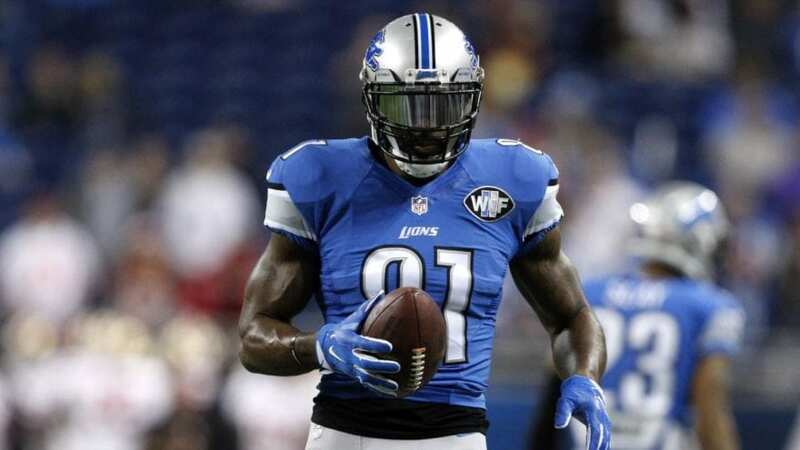 Nicknamed “Megatron,” due to his massive frame (6’5, 237 lbs), and his immense speed (4.35 seconds 40-yard dash). Johnson was able to manifest the expectations from him, when he was picked second overall by the Detroit Lions in the 2007 draft. His best season was in 2012, when he broke Jerry Rice’s single-season receiving record, putting up an absurd 1,964 yards that year alone. In the process, he recorded an NFL record eight consecutive 100-yard games, as well as 11 total such games that season (placing him in a tie with Rice for that record as well). Size was always considered a liability when it came to the 6’0, 185 lbs pounds Harrison. But he wouldn’t let anything get in his way of greatness. After teaming up with Peyton Manning in Indianapolis, the two immediately became a strong duo, who would go on to pick apart opposing defenders and dominate through the air. When it was all said and done, Harrison had a lot to show for his efforts, including 1,102 receptions (fifth all-time), 14,580 receiving yards (ninth), and 128 touchdowns (fifth) in his career. Harrison was enshrined in the Hall of Fame class of 2016. Known for having arguably the best hands the NFL has ever seen, Carter was a reliable pass catcher for the majority of his career. 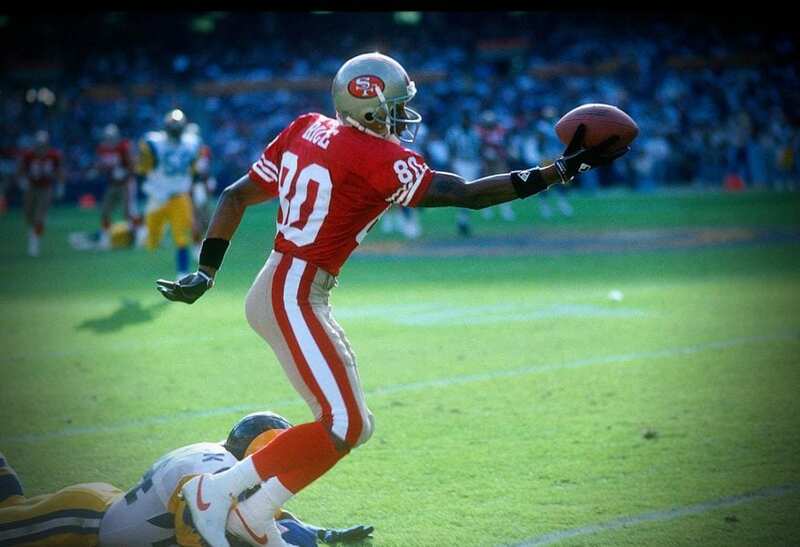 He caught a lot of touchdowns as well, leading the league in receiving TDs three different seasons (1995, 1997, 1999). He currently ranks fourth on the all-time list with 130 receiving TDs. Carter finally got the respect he deserved, when he was inducted into the Pro Football Hall of Fame in 2013. Irvin was nicknamed “The Playmaker,” due to his tendency to perform well in big moments throughout his career. 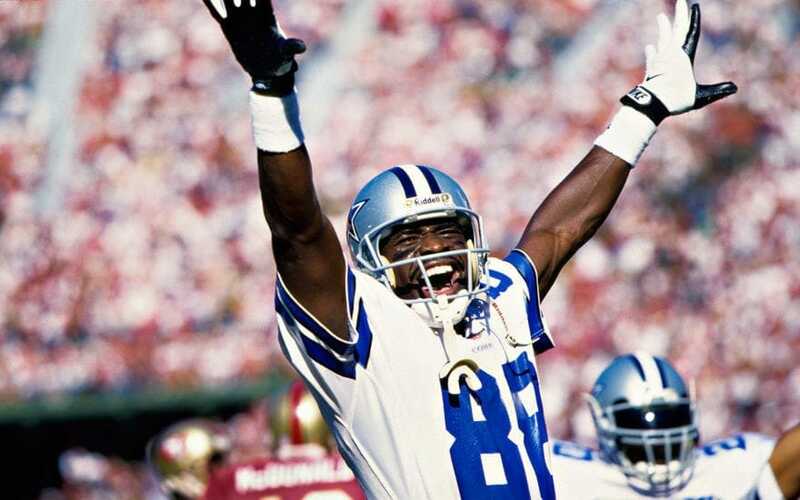 He was one of the main offensive contributors in the Cowboys’ three Super Bowl victories in the 1990’s. Irvin became a model of consistency from the 1991 season onward, as he strung together five consecutive (and seven of eight) 1,000 yard seasons. His consistency was further exemplified during the 1995 campaign, when he set a new single-season record with 11 100-yard games. Consistently underrated over the past few years, Fitzgerald has shown longevity that is rare among most NFL wide receivers. As the 2018 season approaches, Fitz has an opportunity to cement his legacy even further with several accolades well within his reach in the upcoming year. 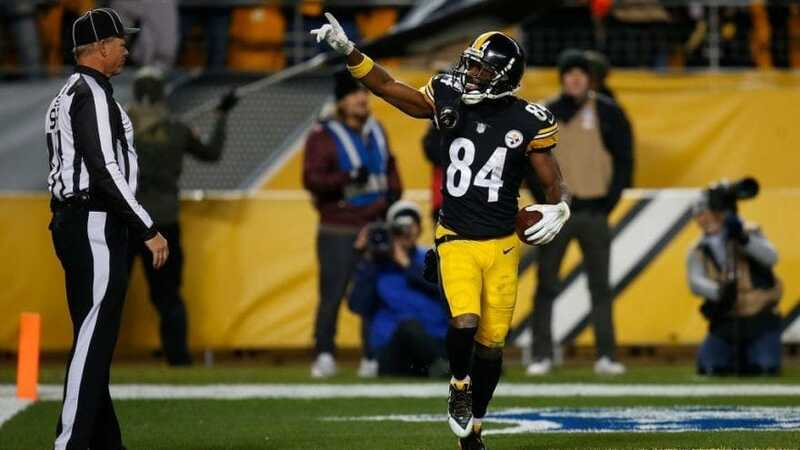 He needs less than 400 receiving yards to move into second place for receiving yards in NFL history, and a more challenging 92 receptions to move into second place all-time in receptions. Fitz was a major part of the Cardinals’ run to Super Bowl XLIII. 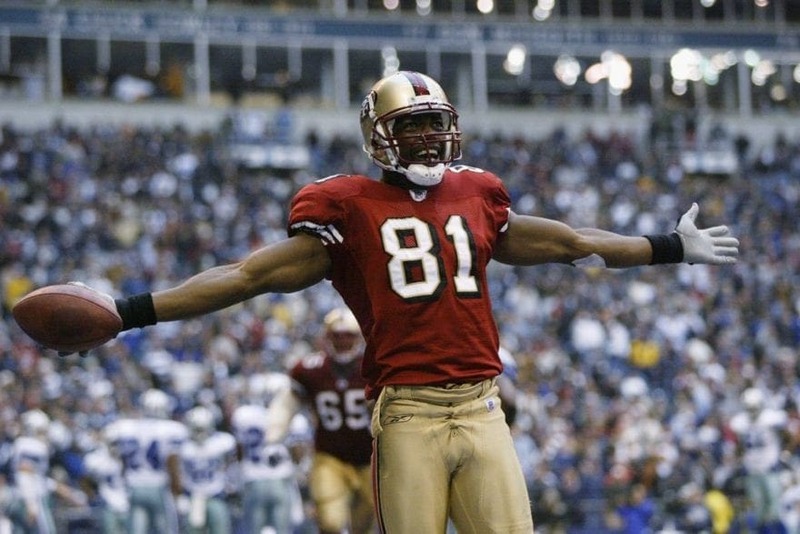 In those 2008 playoffs, he broke Jerry Rice’s postseason records, by putting up an incredible 30 catches, for 546 receiving yards and seven touchdowns. 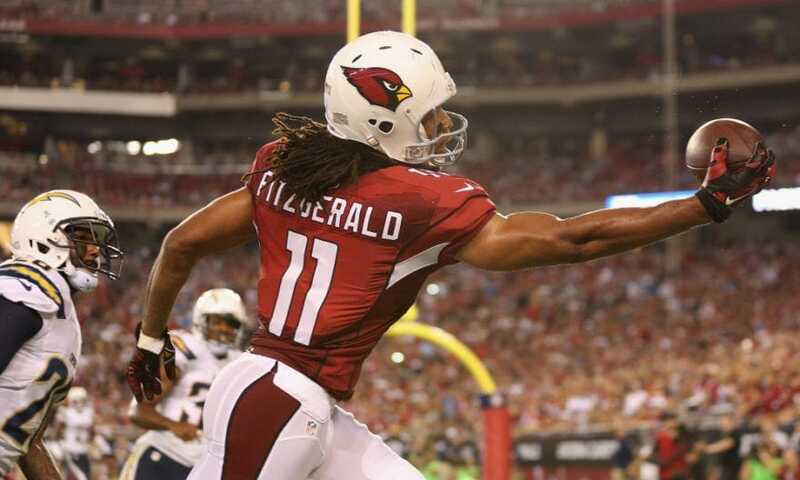 In the pivotal Super Bowl (loss), Fitz did everything in his power to bring home the title, with a super performance of seven catches, for 127 yards and two touchdowns. T.O. remains highly underrated when looking at what he was able to achieve as a receiver. Perhaps the reputation of him being a relatively poor teammate has instilled a negative sentiment in the public’s perception. But none of that can take away from his jaw-dropping stats. Owens tallied the second-most receiving yards on the all-time list with 15,934, while his 153 career touchdowns are third best in NFL history. One of the most dominant forces to ever run routes at the NFL level, Moss consistently used his size/speed combination to win battles against defenders. 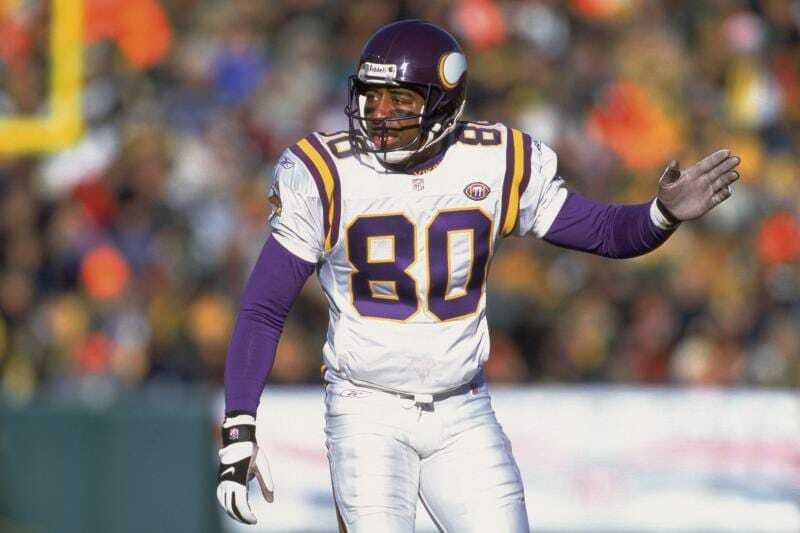 Toward the twilight of Cris Carter’s career, the Vikings drafted Moss 21st overall in the 1998 draft. He immediately rewarded them by setting a new rookie record 17 touchdown catches, as well as 1,313 receiving yards. In 2007, he broke the single-season record with 23 touchdown receptions. Moss went on to have one of the best careers for a wideout. His 156 touchdowns still place him second on the all-time list, while his 15,292 career receiving yards are fourth best in NFL history. Rice is often referred to simply as the G.O.A.T (Greatest of all Time), this one was as easy as it gets. Rice is so far ahead of his competition, that it’s unclear if his records will ever be broken. It would certainly take a player who can play at the highest possible level, and for the a very long time. Rice is the all-time leader in every major receiving category. He managed to amass a ludicrous 22,895 receiving yards during his career – roughly 7,000 more than second place. Moreover, his 197 career receiving touchdowns are 41 more than the next best receiver on the list. We haven’t even mentioned his three Super Bowl rings, also winning Super Bowl XXIII MVP honors.